For people with allergies or food sensitivities to gluten, meal time in unfamiliar places is understandably scary. Recently, however, researchers came up with a portable product that's easy to use and can provide an extra safeguard in uncertain situations. In just two minutes, the Nima from 6SensorLabs can identify whether there is gluten in food. You can test small samples of liquids or solids by placing the questionable item within a one-time use capsule and putting the capsule inside Nima. The device is small enough to fit in a jacket pocket and weighs only about 3 ounces, according to the company. So for the estimated more than 18mm Americans who have a gluten intolerance or full blown Celiac disease or their loved ones, the Nima could easily become another never-leave-home-without-it device. When we think of other items that people rarely leave home without, smartphones are top of mind. Indeed, people nowadays rely heavily on them both day and night for everything from shopping to getting directions to checking the weather. Not surprisingly, as smartphone use proliferates, we're also seeing the emergence of mobile-only banks. 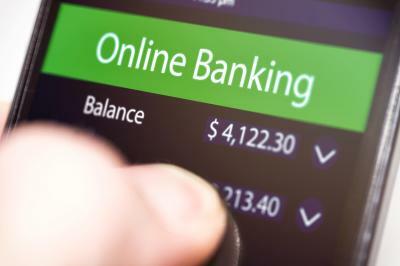 Consider the April announcement by French telecom group Orange that it was acquiring a 65% stake in Groupama Banque and launching a mobile-only banking service. The stated goal is to provide essential banking services including current accounts, savings, loans and insurance services, as well as payments. The companies are hoping to attract 2mm customers in France and in the future, launch mobile banking services in additional markets such as Belgium and Spain. There are also a few mobile-only banks popping up in UK markets, including Atom Bank, Mondo, Starling, and Tandem. These banks are in the midst of fundraising and will soon be launching to the public. To be sure, the mobile-only model is untested and no one really knows how successful it will be. While mobile banks may not be formidable competitors yet, their existence says something about the way the world is going. It's also worth mentioning that there are deep pockets funding these so-called neobanks. For instance, even though it hasn't completely launched, Atom is already worth ?150mm, after Spanish banking group BBVA infused ?45mm in November. In the US, community banks are at all different stages when it comes to their mobile apps and mobile adoption. Indeed, features vary significantly by institution and are most often dictated by the capabilities and offerings of the underlying core. Those behind the curve worry how much of an impact mobile has on customer satisfaction and many are taking additional steps here. Notably, results from the J.D. Power 2016 US Retail Banking Satisfaction Study, found that overall satisfaction was 27 points higher among customers who use mobile banking than those who do not. One area that warrants special attention is mobile account opening. Roughly 75% of US banks do not currently offer (or plan to offer) mobile account opening, according to a survey conducted by the Fed. Certainly, there are operational challenges to allowing customers to open accounts via a mobile device. In addition, hacking or cyber risks are also concerns. We suspect that this will be one of the next big areas where banks invest resources over the coming years. Given the way it is going, mobile account opening will likely eventually become commoditized. In the meantime, however, it's a competitive advantage for banks that are early out of the gate in addressing certain groups of clients so it might be something to play with to see how your own customers might respond. Yields dropped 3bp as concerns over Brexit weighed on US markets. 1) Microsoft (WA) will acquire business online platform LinkedIn (CA) for about $26.2B in cash, as the company seeks to boost its productivity and business processes segment offerings. 2) Byline Bank ($2.6B, IL) will acquire Ridgestone Bank ($433mm, WI) for about $105mm in cash (35%) and stock (65%). The latest analysis by Pew finds that the most common living arrangements for Millennials are: living with parents (32.1%), married or cohabitating (31.6%), living alone or with roommates (14.0%) and other living arrangement (22.0%). The percentage of those living at home is the highest on record. The odds of a rate hike in June are about 0% currently in most polls; however one new Wall Street Journal poll puts the odds at about 6%. Regardless, it is clear that nearly all economists and professional investors do not believe a hike in June will occur. Tanking government debt yields overseas have pushed global investors to buy US Treasuries, pulling our yields lower as a result over the past few months. This, plus fears of a potential Brexit are weighing on Treasuries. Swiss bank UBS said it plans to cut its US wealth management hiring by about 40%.